Max Holloway knows how the game is played. With only very rare exceptions, you don’t go into Brazil as a foreigner, main event against a Brazilian competitor, and get to play the role of good guy with the fans. And the UFC interim featherweight champion knows he won’t be that rare exception when he meets the legendary Jose Aldo in the main event of UFC 212 on June 3 in Brazil. So even though playing the villain isn’t exactly the likable Hawaiian’s most comfortable role, it’s one he’s willing to play. Holloway knows a fighter who keeps himself in the headlines, whether for positive or negative reasons, is one who is going to get a response from the fans, and, more often than not, end up as the fighter with the biggest paychecks. Since he’s never been one to shy away from giving his opinions anyway, he’ll roll with it. With that in mind, Holloway had a gift for the UFC featherweight champion at the press conference: a soccer ball. 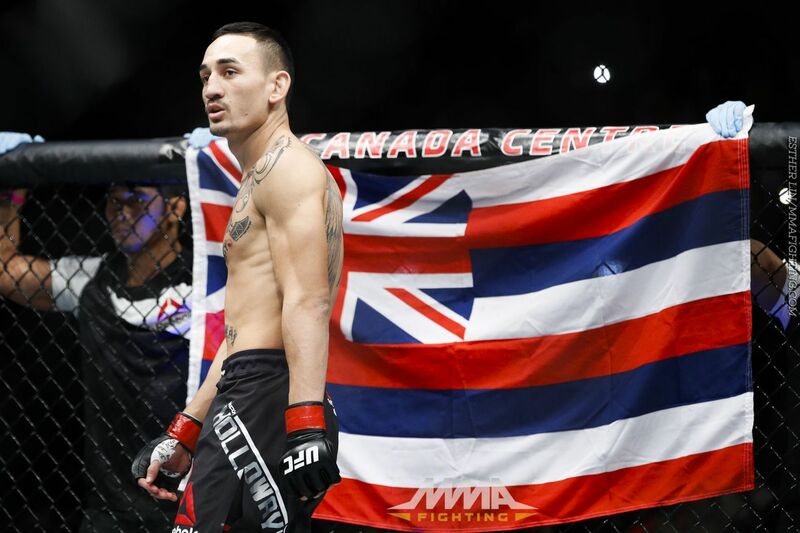 Promotional bluster aside, though, Holloway’s got nothing but love for Brazil, and looks forward to the opportunity to compete in the spiritual homeland of mixed martial arts for the first time in his professional career.